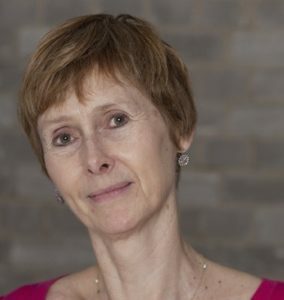 I’m pleased to be taking part in the blog tour today for The Bad Sister by Anne Penketh. Later on in this post we’ll be learning ten things about Anne but first let’s see what The Bad Sister is all about. I spent my formative years in Preston and couldn’t wait to get to London where I went to university. But since then I’ve come to appreciate the lure of the Lancashire fells and the coastline, and the great walks in the Lake District where I was dragged kicking and screaming as a child. I’ve been so lucky to have had a journalistic career during which I was posted to Moscow, Paris and New York, and also worked in Washington DC, but now I’m back in Paris where I’m loving it. It’s not too far from home but the physical distance from my oldest friends and family means that my Paris flat is almost like a refuge where I write. I quickly gave up my original idea of performing in my play, Sugar Baby, and found a fantastic English actress in Paris who got great reviews in Edinburgh. But it was a huge risk, to say the least, deciding to spend the whole of August on the Fringe as a complete unknown. I moved to Montreal in my twenties with only a suitcase, then reinvented myself as a fiction writer after years as a foreign correspondent, and now I’ve written my first play. So I’ve been forced to admit that I’m not afraid of risk. In fact I seem to thrive on it, although sometimes it looks like recklessness, and many’s the time I’ve said to myself, what on earth have I done? For quite a while after my husband died, I was in denial about being placed in a category called ‘widow’ and I certainly didn’t want people to pity me. But I’ve come to realise over time that his death was a defining moment for me, as it led to me temporarily giving up my chosen career and moving to Washington. I’m convinced it also somehow unleashed the stories inside me which are now pouring out. As a Brit living in Paris, and having worked outside the UK for many years, I have this weird sense of not really belonging anywhere. I’m an outsider, and consequently feel authorised to criticise wherever I am. This propensity to criticise is of course the professional trademark of any journalist or writer. But I wonder whether other exiles feel like me. This is a health warning: I perforated my eardrum with a Q-tip after washing my hair and two separate operations were needed to graft over the hole. Don’t do it! As a result, I’ve lost 60 percent of the hearing in that ear, and suffer from tinnitus. I read a lot of crime novels and thrillers, and enjoy such writers as Ian Rankin and Lee Child. I’m also addicted to TV crime dramas, particularly Spiral, Happy Valley and Line of Duty. Zen and the Art of Motorcycle Maintenance actually changed my life, as I bought a motorbike after reading it. As I don’t have children, my social life revolves around friends and family. I realise now how important it is to have kept up friendships over time and across the oceans. The steady stream of friends and family – including one friend with whom I’d been at primary school – was what kept me going in Edinburgh this summer. Fascinating stuff, Anne. I must be careful with those cotton buds! 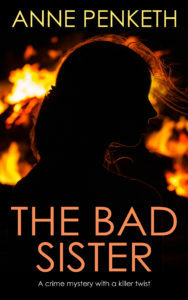 If you fancy reading The Bad Sister then it’s available now in ebook and paperback. Please do have a look at the other blogs who have taken part in the tour.